The Ketchikan Alaska cruise port is a stop for nearly every ship sailing the inside passage. The first port for nearly all northbound cruises heading to Anchorage, Ketchikan serves as an introduction to the rugged Alaskan frontier for many visitors. A quick glance at the ship’s Ketchikan shore excursions and it is clear that visitors are spoilt for choice. 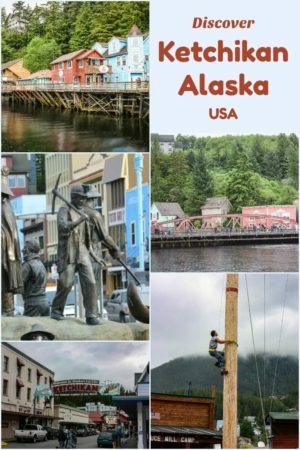 The difficulty comes from trying to choose from all the unique things to do in Ketchikan Alaska. 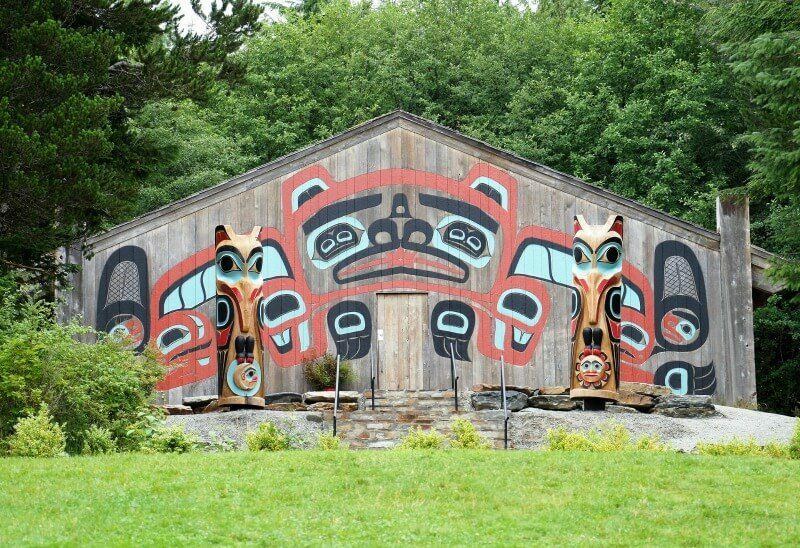 It is famous as the Salmon Capital of the World, as well as being home to the world’s largest collection of totem poles. Ketchikan’s an easy port. Walking off the ship, we were practically in town with no shortage of restaurants, shops, museums, hiking options, and bars. However, for a bit of adventure, more in-depth history, culture, or a traditional seafood feast, a Ketchikan shore excursion or tour is often needed. The ship will tell you that you need to book with them to be assured to be back in time. While it is true that the ship will not leave passengers on its excursions, other companies like Viator, a Trip Advisor Company, offer the same worry-free shore excursion guarantee on most (not all) of their excursion options. The list of what to do in Ketchikan feels endless. 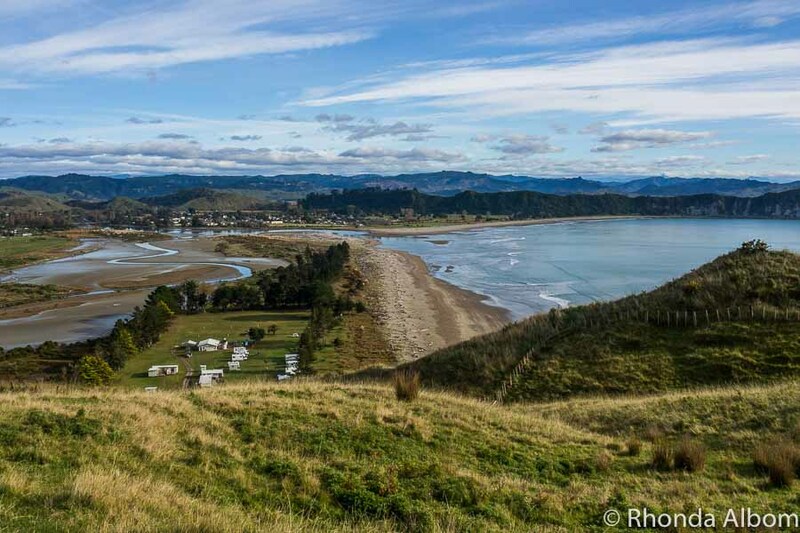 Adventure junkies can enjoy ziplining, kayaking, zodiac boats, 4WD adventures and hiking to incredible views. Outdoor nature enthusiasts can canoe, visit an Alaskan Rainforest Sanctuary, fly over fjords, or just head out to look for wildlife. And, that’s not all. There are still plenty more things to see in Ketchikan like Alaskan totem poles, food tours, and city tours. If there is one thing Alaska has, it’s wildlife. From bears to eagles, the animals love Ketchikan and the surrounding areas. Many of the excursion options offer wildlife sighting opportunities, although none guarantee it. At the last update of this page, the Ketchikan shore excursions in this section all included Viator’s worry-free shore excursion guarantee. Photo Credit: Department of Commerce, Community and Economic Development; Division of Community and Regional Affairs’ Community Photo Library. 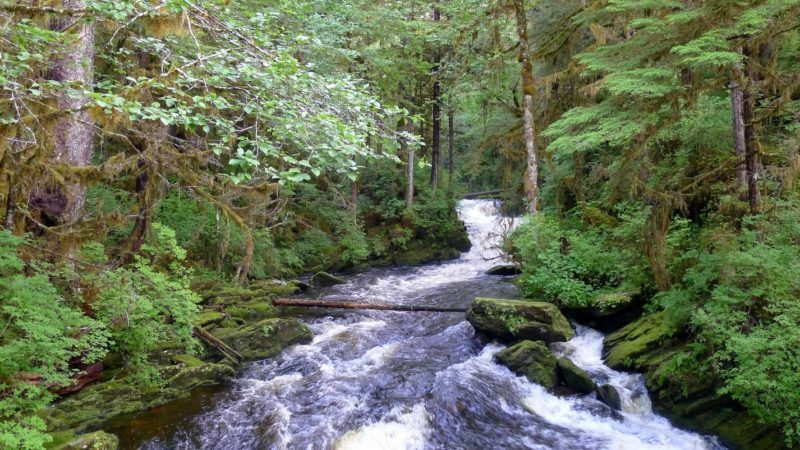 While you will probably see wildlife on these tours as well, their main focus is on the stunning scenery of the Tongass National Forest. It is the largest forest in the United States comprising 17 million acres and includes Ketchikan as well as Juneau and several other popular ports on the inside passage. Whether you explore it via plane, off-road vehicle, canoe, bicycle, or on foot, you are sure to be impressed. 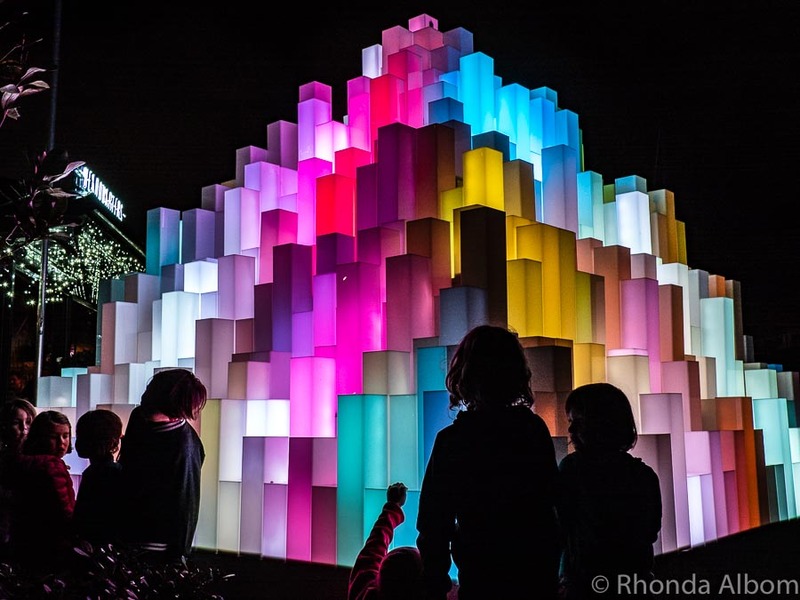 There are a few other interesting excursions options that didn’t fit into the categories above, as well as several things to see on your own in the downtown area. There are endless hours of hiking trails from Ketchikan ranging from less than 30 minutes to multiple days. 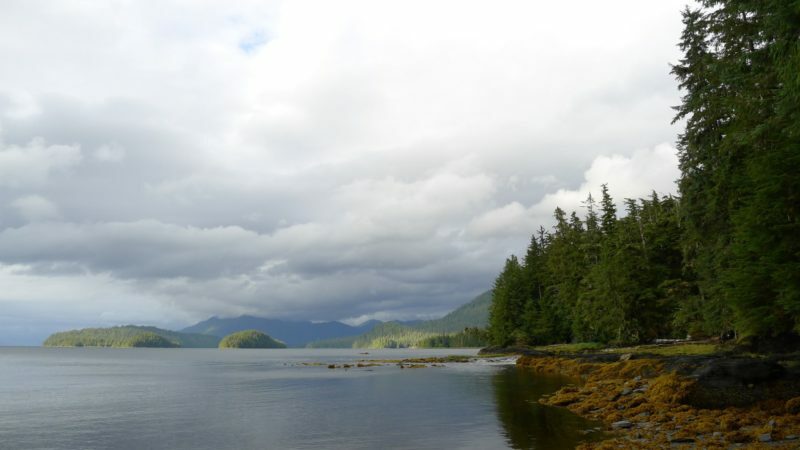 Click here to see the USDA Ketchikan Area Trails Guide. 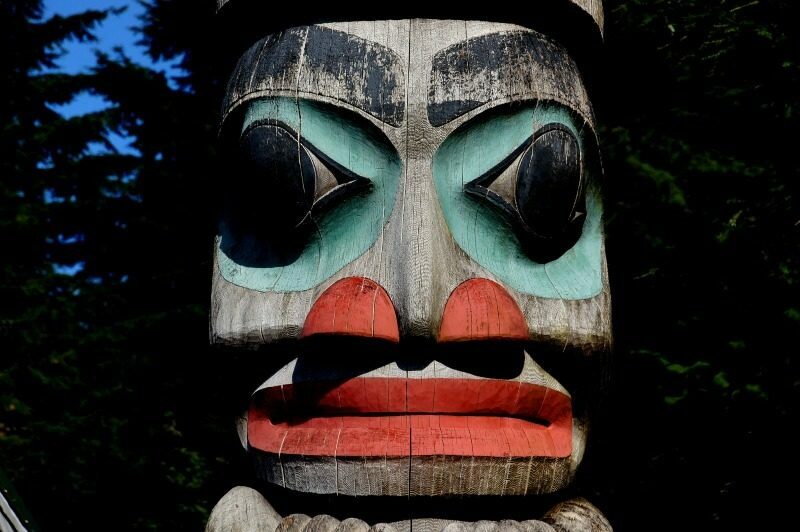 Ketchikan boasts the world’s largest collection of Native American totem poles. While you will see several in town, there are also a few special places worth a visit. 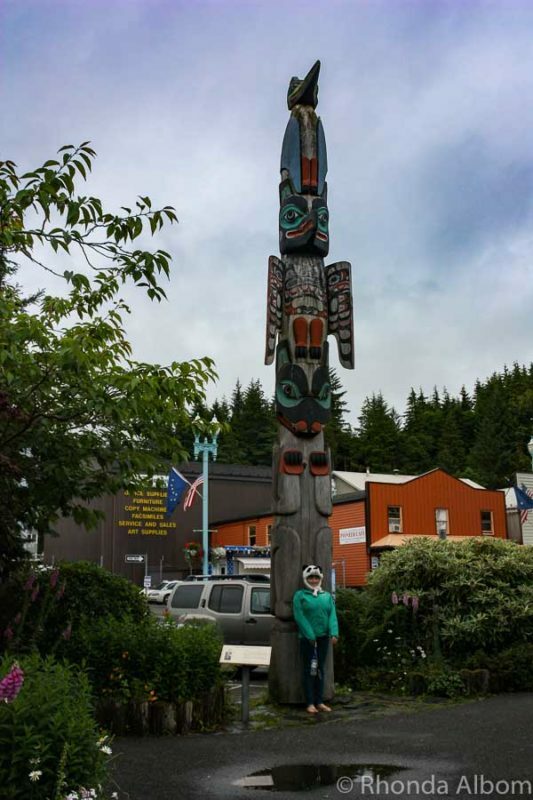 Ketchikan Saxman Native Village is home to over two-dozen hand-carved totem poles by Tlingit and Haida native tribes. 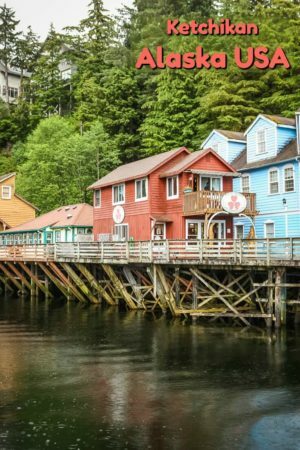 Whether you take a Ketchikan shore excursion from an independent company, from the cruise company, or you just walk off on your own, you will most likely have some free time to roam the city. 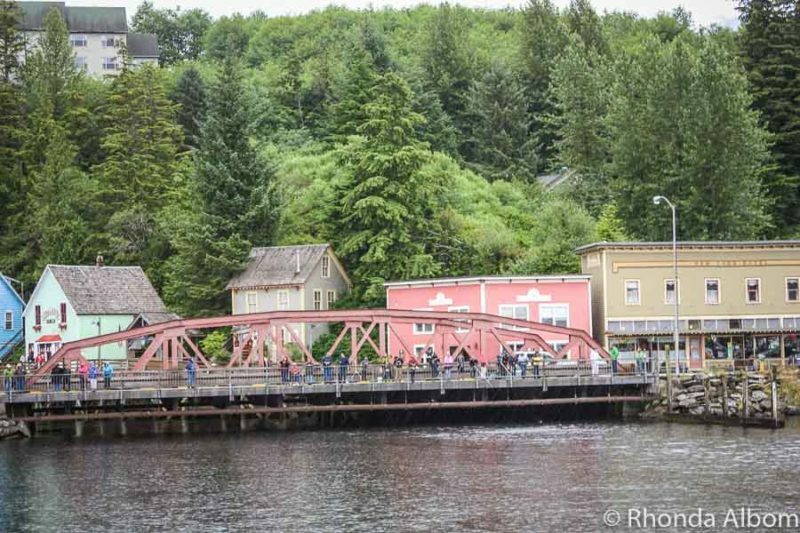 Here are a few not to be missed attractions, starting with a free walking tour map that highlights 64 Ketchikan things to do. Created by the Ketchikan Historic Society, the map highlights both the downtown and West End. If you didn’t print a copy in advance, you can pick one up at the Visitor’s Bureau located on the waterfront across the street from the famous “Welcome to Ketchikan” sign. Creek Street is a picturesque boardwalk that winds alongside the Ketchikan Creek. Today, it’s the place to go for souvenirs, restaurants, and art galleries. However, Creek Street has an interesting history. It was built as a boardwalk in the days when prostitution was only legal if “business” was not conducted on dry land. In the gold rush days, these 30+ wood-framed buildings were home to over two dozen brothels. Dolly’s House Museum is the former bordello of Dolly Arthur, Ketchikan’s most famous “madam” (All prostitution was made illegal in 1954.) Be sure to wander into some of the galleries as well as the shops. 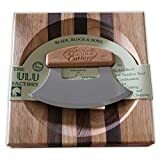 Check out the ulu knives. We like practical souvenirs, so we found the ulu knives the perfect thing to bring home for ourselves and as gifts. The green building on the left is Dolly’s House Museum. Family friendly and fun, the Great Alaskan Lumberjack Show celebrates Ketchikan’s logging history. World champion lumberjacks display their skills as they compete in traditional lumberjack games like speed climbing, log rolling, chopper, sawyer, and more. There are demonstrations and hokey jokes, which left the young and old in awe of the talent and laughing at the campy humour. Clearly a tourist show, it’s designed to demonstrate the skill and talent of the athletes with humour and entertainment. It’s a fun way to spend an hour in Ketchikan. Pro Tip: The Great Alaskan Lumberjack Show is one activity that may be better if you overpay and book through your cruise ship. If you read the reviews, you will see a consistent pattern of negative reviews by those who booked on their own on days when a ship is in port, as they had poor seats (cruise ship excursion passengers get seated first). Impressed by the talent, we had a blast at the Great American Lumberjack Show despite it being so touristy. Check your ship rules. Most allow you to pre-book excursions before you board with free cancellation policies up to 48 hours (or even less on some ships) prior to the excursion. Read more tips here: 25 Tips for Cruising Everyone Should Know. If you are sailing north (Started in Seattle or Vancouver) Ketchikan will be the first of your Alaska cruise ports. If you are sailing south from Anchorage (like we did) then it will your last. The Salmon Landing has free wifi. We enjoyed the Crab Cracker for a great piece of salmon. Our ship had coupons for local shops, many of which offered free items with no obligation to purchase. With so many amazing options in Ketchikan and all of the Alaska ports, there is bound to be the perfect tour for everyone. Best advice, be prepared before you go. Remember, internet access on the ship can be very expensive. It’s a good idea to pick up a guidebook before you sail. 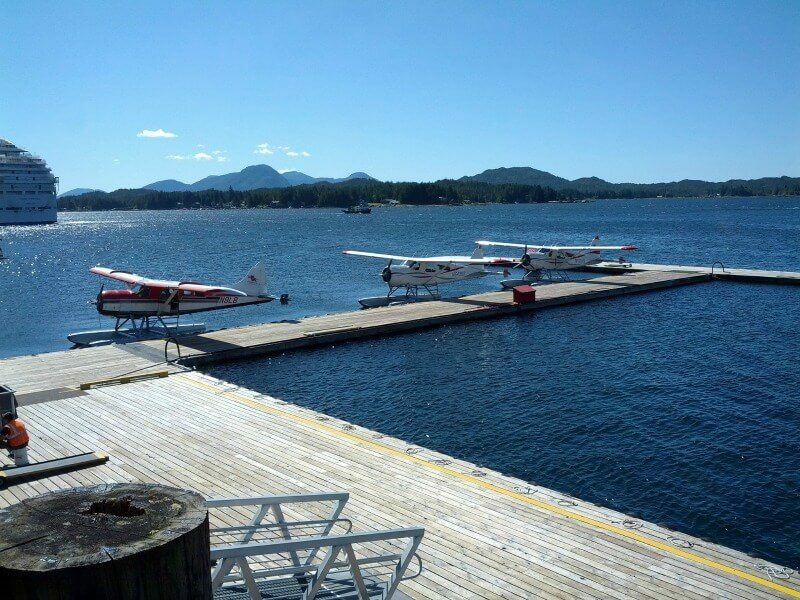 With so many options, the best things to do in Ketchikan will be different for everyone. 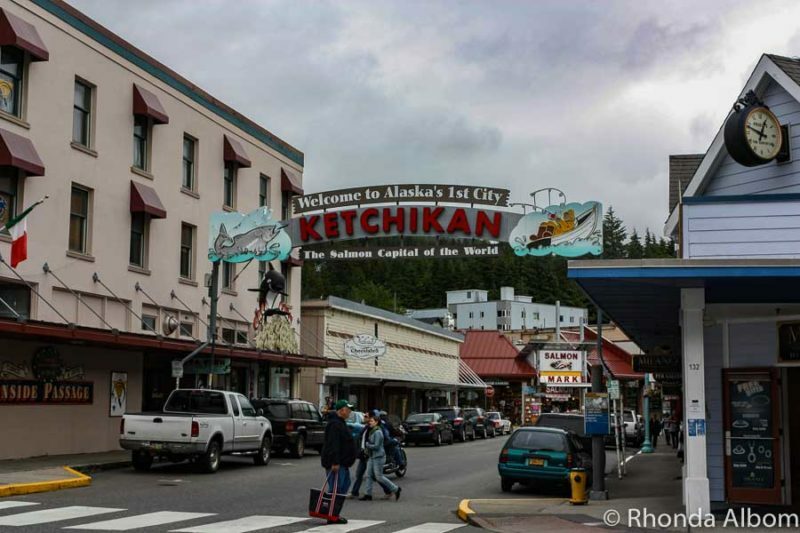 What will you do in Ketchikan? Disclaimer: We were provided with a complimentary entry to the Lumberjack Show. However, the opinions expressed here are strictly my own. Alaska is such a beautiful State! Looks like there’s so much to see and do in that area too! I hope to get to visit some of these places you’ve mentioned some day soon! I would love to explore much more of the state. We have only been from Denali and Anchorage and then south along the coast along the interior passage. Alaska has always held such an allure for me – I definitely need to add Ketchikan to my list of “must-visits” when I inevitably make it there! Creek street looks amazingly charming. Thanks for the article and opening my eyes to this beautiful place! Alaska is one of the most beautiful places I have ever been. If it wasn’t for winter, I would want to live there. Because we arrived via cruise ship, we didn’t meet people the same way that we do when we travel on our own, but all the people we met were lovely. Ketchikan looks so fantabulous with all its options of varied experiences. Interesting history about the Creek street. Alaska’s wild life is so exciting. I hope I can make a trip there some day. As a cruise port there is no way to do it all, but no matter what you choose, you won’t go wrong. Ketchikan looks beautiful and very historic/interesting to visit. You did such a great job of rounding up all the potential shore excursions — great resource! Since Alaska is where I want to go on my next cruise, I’m pinning this for future reference — thanks! Thanks Tami. 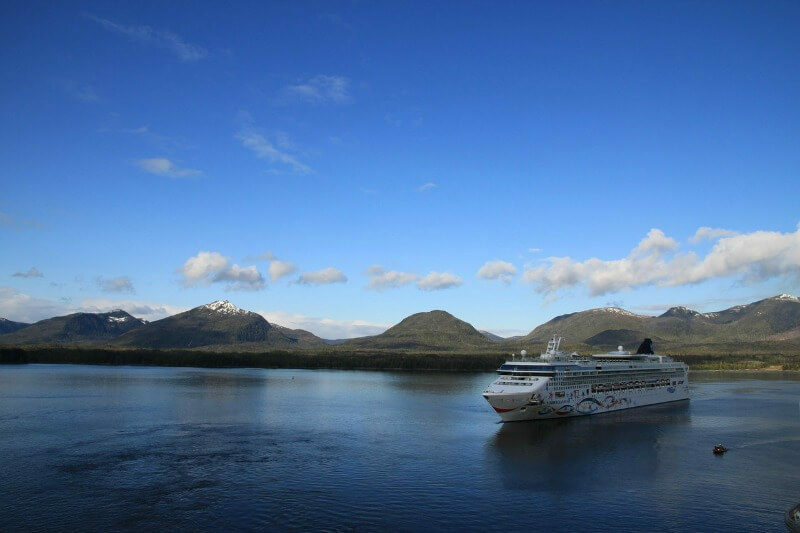 I loved everything about our Alaskan cruise – both the ports sailing time as so much of it had fabulous scenery. The next cruise we take will most likely be an Alaskan cruise, so this post is getting saved for future reference! I actually worked for Westours, back in college, and had always planned to take one of their Alaska cruises, but then it never worked out. 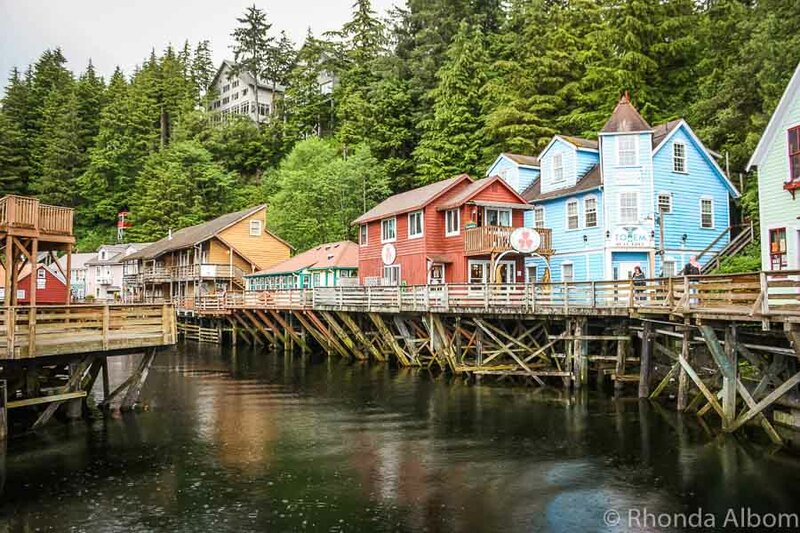 Ketchikan looks like a lively (and beautiful) place to visit. I appreciate the time and effort you put into outlining all the potential shore excursions — very helpful! Better hurry, the season only has a few more months this year. All of these adventures look so fun! I love the brightly colored buildings too! Creek Street is so bright and lively. It is good fun to walk and shop there today, and even more entertaining to imagine it years ago. Not being from Alaska or even the U.S., I’d never even heard of Ketchikan. It sounds like a really cool place to visit though. Going on a cruise there sounds so fantastic. I read every word of this blog post and it was SO interesting to see all the things you can do! Thank you for the excellent advice, like booking your Lumberjack show through your cruise line. I already wanted to go to Alaska, but this definitely made me want to go even more! We would love to take an Alaskan Cruise sometime. It seems like a convenient way to see the sights and organize trips. We found that paying a premium for seating at live shows is almost always worth it. So much of the story is told through the actor’s expressions, that you just get a different experience from the nosebleed seats. I am guessing that ships going to Alaska’s inside passage are smaller than the ones you have been on. We have only cruised mid-sized or smaller. We have never even had an option to pay for theatre seating. Fun adventure! I have fond memories of AlaskaE as a teenager. Seems like a cool port city! I am hoping my girls will always be able to say that, as they were both teens when we sailed. Informative and useful post for anyone heading to Alaska on a cruise ship! Nice photos! You really brought Ketchikan to life for us. Thanks Jane, that was my goal. The Lumberjack show looks like it was lots of fun. This looks like such a fun port. We are taking a Princess Cruise at the end of the month to Alaska – Thanks for the tips. Sounds like you had a great time in Ketchikan. I think I will take one of the sightseeing flight if I get to Alaska. The people we talked to who took the flights all loved it. Beautiful and a very safe way to watch the bears. 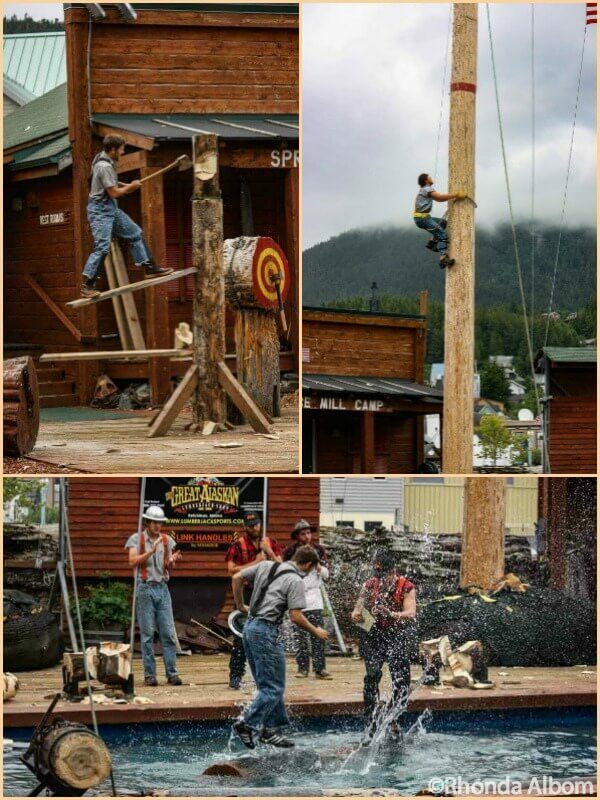 We went to the lumberjack show when we were in Ketchikan. It was really fun. I loved Ketchikan when we cruised the inside passage. We did the plane flight and even saw bears.